Ken Black, Crowley director of product logistics and engineering. 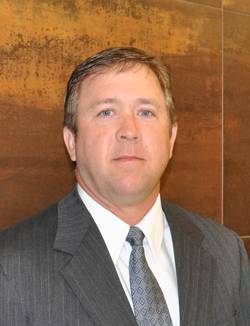 Crowley Maritime Corp. announced today that it has named Ken Black director of product logistics and engineering. He will continue to be based in Jacksonville and report to Steve Collar, senior vice president and general manager, logistics. In this new position, Black has oversight for Crowley's product logistics team, which develops a wide array of logistics solutions for customers, in addition to managing pricing and vendor relations. He will maintain his previous responsibilities for the company's supply chain operations, including the design, development and implementation of custom supply chain solutions for customers and overseeing the day-to-day operational aspects of the U.S. distribution and U.S.-to-Puerto Rico less-than-containerload (LCL) services. Black now also manages Crowley's Greg Smith, manager, product logistics. "Ken is uniquely qualified for this position as he is the architect of many of the processes and customer-specific solutions that Crowley's logistics team currently have in place," said Collar. "Ken blends his highly developed logistician's expertise with excellent management skills to be an effective leader of the team." Black joined Crowley in 2001 as a logistics analyst. From 2003 to 2008, Black held a variety of roles, including operations manager and business process manager. Most recently, in 2009, Black was named director of supply chain operations.He has more than 15 years of logistics experience with the United States Marine Corps. and other industry-leading companies. Black earned a Bachelor of Science degree in computer sciences and information systems from the University of North Florida.